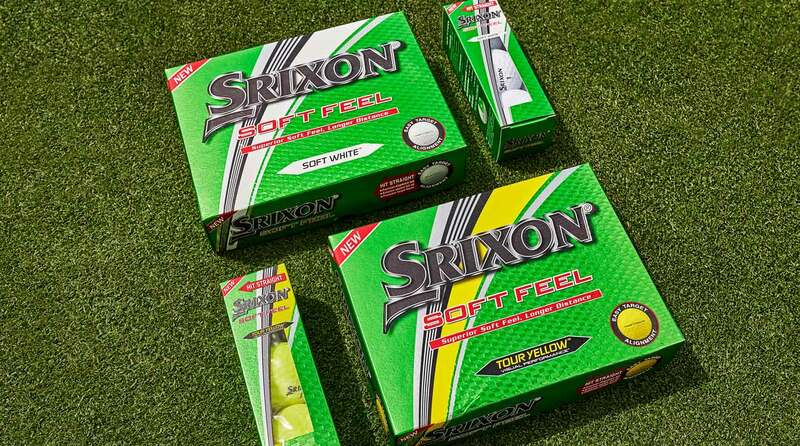 The newest iteration of the Srixon Soft Feel ($19.99/dozen) golf ball is a two-piece model aimed at players looking for straight distance with a very soft feel at impact. As is the case with all Srixon models, the Soft Feel features an Energetic Gradient Growth Core that produces low spin and high launch for outstanding distance. The Ionomer cover on the new Soft Feel is softer and thinner than in the previous model, allowing for improved spin rates on short shots around the green as well as an overall more pleasing short-game feel. A look at the new Srixon Soft Feel golf balls. In addition, a redesigned 338 Speed Dimple pattern helps reduce drag for improved consistency and wind performance for more accurate overall long shots. The Soft Feel is available now in both white and yellow color options.